Bail Bonding | Arkansas - First Step Bail Bonds Co., Inc.
We know how difficult it can be when a loved one is arrested and taken into custody. That's why we're here–to get them out so you can start putting your lives back together with our bail bonding in Arkansas. The team at First Step Bail Bonds Co., Inc., assists you through the entire process. You can reach us in Little Rock, Arkansas, 24 hours a day, 7 days a week. All consultations for bail bonds are strictly confidential. First Step Bail Bonds Co., Inc., helps get you or your loved one bail out of jail fast without adding additional financial stress to your life. With our help, you'll be able to meet all of your legal obligations without sacrificing your daily responsibilities. Receive top service for your loved one when you turn to First Step Bail Bonds Co., Inc. for bail bonding in Arkansas. As your local team for bail bonds, we are available to take on the needs of clients throughout the state. Our agents have extensive knowledge and expertise about court regulations, allowing us to use this information to expedite the process. Reach out to us today for more on bail bonds. How does the process work? If you find yourself in need of bail bonding, we start by taking down information about the defendant, the jail, and the city where he or she is held. We then work with you to deliver a bond to the court in the full amount of bail. Please note that in some situations, we may require collateral or a co-signer to post bond. After a loved one has been arrested, you may not know where you can turn to for support. Ensure that your friend or family member is in the right hands when you speak with the professionals at our local Arkansas bail bond company. Proudly serving the enitre state of Arkansas. Call today to receive more information. Backed by more than 30 years of experience in bail bonds, the team at First Step Bail Bonds Co., Inc., offers a level of personalized service you simply won't find anywhere else. Call our bail bonding agency any time to learn more about our bail bond services, or simply stop by for assistance with your paperwork. We provide each and every one of our clients with a great deal of integrity and make the release and bond process as stress-free as possible. 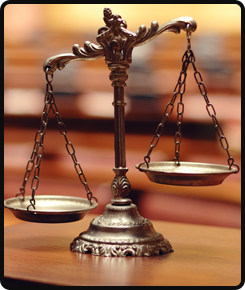 Our agency has the resources to handle bonds for all courts in the state of Arkansas. Contact us in Arkansas to learn more about the bonding process. We are available to provide bonds for defendants throughout the state. First Step Bail Bonds Co., Inc.